Used Dryers for Sale in Houston with Champion Appliances! When it comes to selling used and refurbished electric and gas dryers machines in the greater Houston area, we have several options to choose from at Champion Appliances. With an assortment of electric and gas dryers machines in a variety of brands, ages, colors, and sizes. Feel free to come to our showroom in the West side of Houston and take a look at our appliances with name brands such as Whirlpool, Kenmore, Maytag, GE, Frigidaire, LG, Samsung and other major brands. Our Dryer Buying Guide helps you prioritize your preferences for easy navigation of today’s laundry landscape. Width: Keep in mind that washers and dryers need one inch of space between and on either side of the appliance for proper air circulation. If space is at a premium, consider going vertical with your washer and dryer. There are many viable compact laundry centers. 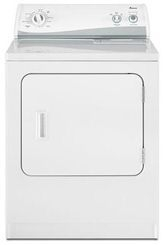 And don’t forget that some front-loading washers and dryers stack for space savings. All dryers use an electric motor to tumble clothes and an electric fan to distribute heated air. The difference is heat generation: with natural gas or electricity. The decision to purchase gas versus electric depends on whether you have a gas line in your laundry area. If you want to change your dryer’s fuel source, you’ll need the help of a professional contractor. Electric: Electric dryers use twice the strength of an ordinary household electric current. 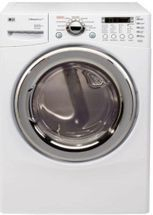 Most run on a 240-volt current to heat up coils and require a special 240-volt outlet in your laundry area. Gas: The purchase price of gas can be slightly higher than that of an electric dryer, but it’s typically less expensive to operate. It usually takes only a year or two to make up the purchase-price difference due to energy savings. Before you leave home, take note whether your outlet requires a plug with 3- or 4-prongs and pick up a new power cord when you’re buying your dryer. Digital Displays – sleek and stylish, digital displays offer an updated appearance with the benefit of cycle countdowns and child locks. NSF ratings – National Sanitary Foundation rates machines based on their ability to destroy allergens and bacteria on fabric. Vent Blocking Indicator – today’s dryers have the capability to let the user know it’s time to clean the vent. Drum Light – an illuminated interior helps you catch every last sock in the load. Drum Rack – attached inside the drum for flat, head-aided drying without the tumble. Extended Tumble – keeps clothes fresh and wrinkle free if you can’t get to the load right away. Silent Operation – mute the end-of-cycle signal on machines located close to living and sleeping areas. Capacity – don’t judge by words like ‘Super Capacity’ as adjectives vary between manufacturers. Consider the cubic feet and whether or not your king-size comforter can tumble comfortably inside. Door Mount – choosing a side mount or top-down door comes down to personal preference. Top-down provides a handy folding shelf, while side mount makes for an easier reach. Make sure your side mount is interchangeable to create a customized laundry space for your home. Top Mount Lint Vent – positions you for easier cleaning than in-drum options. Sensor Dry: A moisture sensor knows how wet your laundry is and adjusts the drying time according to your preference of damp or completely dry. This saves time and money on energy costs and prevents overdrying to extend the life of clothes. Eco-Cycle: Eco-cycle significantly decreases energy use by accurately monitoring the dryness of clothes. Some models even have a monitor on the console that displays the energy use and efficiency of different drying cycles. Dryers with an eco-cycle can use up to 35% less dryer energy when you pair it with a matching washer, compared to a conventional top-load pair. Steam: Steam cycles can refresh an outfit, relaxing wrinkles and removing odors. During this cycle, a small amount of water sprays into the dryer drum after several minutes of tumbling with heat. Some dryers come with settings to periodically tumble, rearrange and fluff the load, keeping wrinkles from forming. The setting is adjustable based on the number of garments in the dryer. Delicate: Delicate cycles use an ultra-low temperature to safely and gently dry lightweight garments and loosely woven fabrics. Your clothes will last longer and keep their color longer using the correct temperatures. Sanitation: Bacteria and germs can easily find their way into fabrics. A dryer with a sanitizing cycle can help provide relief to children and adults with frequent allergies by using high heat or steam to sanitize items that can't be easily washed. A sanitation cycle eliminates up to 99.9% of common household bacteria. 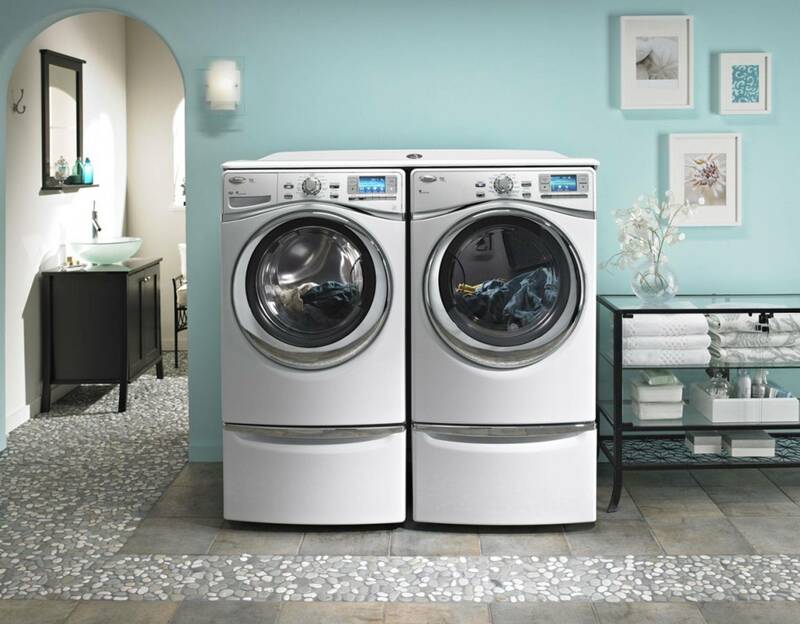 According to ENERGY STAR®, clothes dryers aren't rated in the government program because there is little difference in energy use between models. Reduce energy in other ways by trying the moisture sensor cycle in the dryer or a high spin cycle in your washing machine. Both will reduce drying time and ultimately use less energy. Lowes. "Dryer Buying Guide." Lowes.com. Lowes, 12/10/2014. Web. 12/10/2014. <URL>.